Hello! Things with a baby can get quite hectic and now that she has mastered crawling the scarce peaceful moments has also vanished! Today we practised colouring... (as she is 9 1/2 months old now she was more interested in chewing the khoki pen, but I am sure dad will be very impressed with his card). 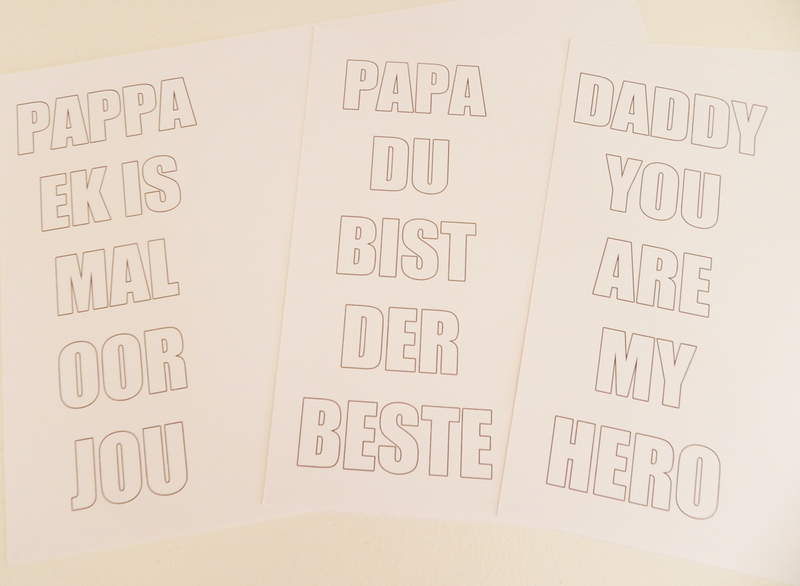 I made a quick print out that you can print for Father's Day and the kids can colour it in themselves. There is one in Afrikaans, English and German - so take your pic! 3. 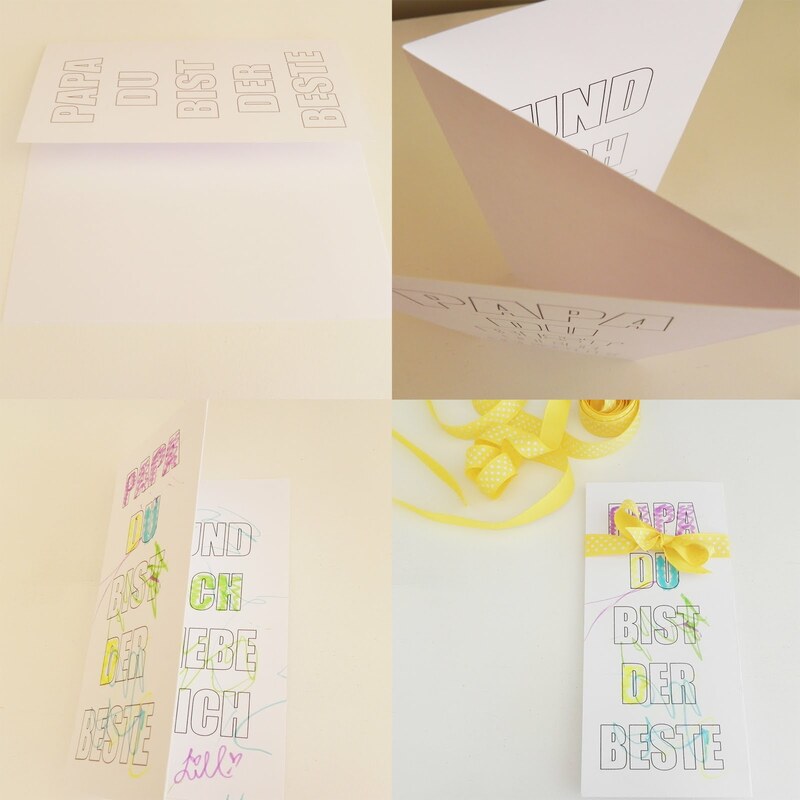 Hold the print out in landscape format in front of you and fold it in three equal pieces, start by folding the right side to the left to create the 'front' of the card as per the first picture and then fold in the left side of the card to form a 'zig zag' as per the second picture. It would be great to see your kids efforts, so please email me a picture or upload it on our facebook page.